As a Melbourne-based digital marketing company, Synotive provides a wide range of top-notch digital marketing services to clients around Melbourne, Brisbane and Sydney. We are a premier digital marketing company offering unique methodologies to ensure outstanding solutions for clients from any sector. Your business can be assured of online success with our customised digital marketing strategy. Do Australian businesses really need to embrace the services of a digital marketing company? Most definitely. As a business owner, executive or marketing manager you will agree that the services of a digital marketing company are rapidly becoming one of the most important marketing channels for your business. Digital marketing can take on different forms based on the size, location and industry of your business. The common factor is that the shift to digital has transformed the way you would communicate with your clients and customers. Synotive’s digital marketing services help your business fully embrace this shift. Leverage our years of experience as a digital marketing company and enjoy guaranteed results such as driving growth by getting onto page one of Google, establishing trust through social media marketing, or increasing revenue through Pay Per Click (PPC) advertising. Your business needs a team of experts from a digital marketing company like Synotive that will help you create and customise an innovative digital marketing strategy that will work for your business. The art of digital marketing is as much about identifying which types of digital marketing not to invest in, as it is about concentrating on the two or three that will generate the largest positive impact for your business. Creating an effective digital marketing strategy that works also means finding the right balance between what you would like to do and what you can actually do. Once we develop a digital marketing strategy best suited for your business, our digital marketing team will help you carry out all the heavy lifting. Your business has the substance, but how do you maximise your visibility and get more people to visit your website? Synotive’s digital marketing services will help you increase website traffic and visitors through search engine optimisation (SEO) – the process of improving your ranking in search engines such as Google, Bing and Yahoo. 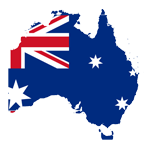 Most Australians are active on at least one form of social media and frequently browse websites all over the internet. Leverage this through social and display advertising – our digital marketing services will drive a direct response from your customers. Larger companies can conduct social and display advertising campaigns to increase brand awareness, while smaller businesses tend to use it to get direct customer response such as signing up for an email newsletter or buying a product. Building trust and credibility with your customers and professional contacts increases the likelihood that they will then share your content and expertise with friends, family and colleagues. Synotive’s digital marketing services include social media marketing to help you build long-lasting relationships with your customers and followers. Platforms such as LinkedIn, Facebook, Twitter and YouTube all provide a medium to increase exposure for your business. Your potential customers may be actively searching for solutions your business can provide. Capture these customers with search engine marketing (SEM). With Synotive’s digital marketing services you can place advertisements for keywords that potential customers are searching for on various search engines. Pay per click (PPC) advertising also means that you will only pay for the advertising when a user clicks on your ad. Effective content marketing will ensure your business retains existing followers by adding value, and increases brand awareness among potential customers. As an outstanding digital marketing company, we understand that there is much more to content marketing than simply blogging every now and then. Our digital marketing services include various other forms of content marketing such as videos, press releases, infographics, book and product reviews, newsletters, research, and data, to name a few. How do you personalise communication with your customers? When it comes to email marketing, segmenting leads and customer preferences is the key to success. Our digital marketing services will help your business ensure that your email updates to your customers sit next to messages from their friends and family. If bringing your business to life and increasing emotional connection with your target audience sounds good to you, then Synotive’s digital marketing services are the right fit for your business. Video marketing is growing at a rapid rate and is becoming a critical means of communicating with your target audience. Videos can be created for different purposes; you may want to demonstrate your products and services, showcase client testimonials or even present your business in an animated video. Our digital marketing services will ensure that once you have increased traffic to your website, you will also be able to increase the percentage of visitors that take action from your page. Conversion rate optimisation (CRO) can be done through various means such as online sales or a sales lead via an opt-in or contact form. As a leading Australian digital marketing company, we are passionate about helping Australian businesses develop, implement and optimise a digital marketing strategy best suited for their specific requirements. So if you need the services of a digital marketing company you can rely on to identify your best course of action, and that will help you do the heavy lifting when it comes to implementing a comprehensive digital marketing strategy, then Synotive is your partner of choice.